Neil and Alyssa are a recently married couple who enjoy eating out and natural wines. They are also Destiny clients and driven property investors. Both are working - Alyssa in legal and Neil in the telecommunications industry. Alyssa loves to practise yoga and Neil loves to cook. 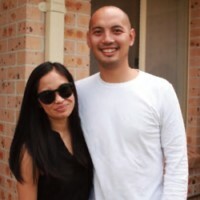 Neil and Alyssa purchased their first investment property in Quakers Hill, New South Wales right before they joined Destiny. This property was one of Neil's parents' investment properties that they agreed to sell to them to kick-start their investing. Alyssa and Neil realised early on that they wanted to do something about improving their financial future. Neil had been exposed to property investing by his father, who was not with Destiny, but had recommended them to Margaret Lomas as a starting point, as he had been watching Margaret on 'Your Money Your Call' on the Sky News Business channel. Alyssa and Neil read Margaret's books and quickly realised that the Destiny method and philosophy was something they wanted to get involved in. So they joined Destiny straight away, keen to waste no time in unlocking their equity and building a portfolio. The couple joined Destiny in August 2015 and immersed themselves in the learning material and practised the 20 Must Ask Questions. It took a couple of weeks for them to set up the line of credit and a couple more weeks researching an area. In February 2016, they had decided on Morayfield, Queensland, as a good location. The property settled while they were on their honeymoon, which was "a little stressful" - but luckily everything worked out. They were motivated to keep the ball rolling and purchased next in Cranbourne West, Victoria, in April 2016. Neil recalls that this was a very challenging area to invest in as things were getting really hot in this market. 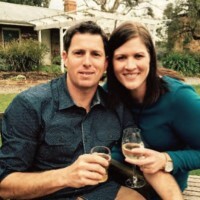 Neil and Alyssa wanted to let things settle for a while and then picked up their search for another property in August 2016, first in Raceview, Queensland, and then in Salisbury North, South Australia. They had a goal to purchase four properties at the start of the year and were really happy they met that target. When asked about the lessons they had learned over their property investing journey, Neil said, "We learned that good is better than perfect. And that getting pieces on the board was more important than waiting for the 'perfect' property." When they realised this, it helped to take emotion out of the process and they were able to just knuckle down and do the research and stick with the method. "Destiny has helped enormously all across the board" said Neil, "From structuring the finance to breaking down potential properties. But more importantly Destiny has helped with our confidence." They also appreciated the value of being part of a larger community of Destiny clients, who they were able to bounce ideas off, to endorse some of their thinking and help confirm their decision-making. This meant they could just keep looking forward and not listen to all the noise. Well on their way to property success, Neil and Alyssa plan to travel in the near future, but their goal is to get another property towards the end of 2017/early 2018. Ryan and I are in our mid-thirties and we live in regional South Australia. Ryan works full-time in the mining industry and I work parttime in the finance industry. We have three young children aged between two and six. We have always had an interest in property investing and after a few of our other financial goals were met, (yes, our own home is debt free!) we chose to invest in property to build our wealth for the long term. Like many property investors, we made our first purchase on our own before realising we might need some help! We purchased our first investment property in January 2015. The main problem was that this purchase decision was made with a slight personal attachment, which we've since learnt is not ideal. We chose the location of the property because it would be a good place for our children to live when they move out of home and attend university - quite some years down the track. The property is a threebedroom townhouse, which we purchased brand new. It is currently tenanted on a 12-month lease and has been since we purchased it. Soon after purchasing this investment property, Ryan signed up to Foxtel to feed his sporting addiction and so he could have all the sport channels! This resulted in him channel flicking and discovering Margaret Lomas's shows. After watching several episodes of Property Success and Your Money Your Call, Ryan concluded that we should contact Destiny and so we did. On 8 August 2016, we had an appointment with Bernie from Destiny, which was very valuable and informative. Bernie was easy to get along with and understood our situation and ability from an investing perspective. A few days later, we signed up for the Portfolio Success Program as we realised it was just what we needed! We awaited the new EPE course's launch so we could complete it online and we graduated from this course on 4 February 2017. We loved the convenience of learning online in our own time and were really impressed with the lessons, tutorials and of course Margaret's energy and motivation. Following our completion of the course we felt well equipped and knowledgeable to start researching our second property. 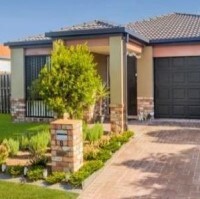 We narrowed down some areas and purchased in Morayfield, Queensland. This property settled 10 April 2017. It is a four bedroom home that is six years old. We chose a property manager recommended by other Destiny clients, which was a great recommendation as she had the property tenanted in one day! We were keen to buy interstate but would not have had the confidence to do so had it not been for the support of Destiny and the research we can now undertake. Our future investment plans are to purchase another property within six months, then continue to build equity and purchase more properties as we can. We would like to have a minimum of four properties by the time we are 40 years old in 2020 - only two more to go! We have no regrets in joining Destiny - the support, feedback, advice, guidance and important information they provide is all so worth it. We joined Destiny Crows Nest in December 2015 with no investments and not much knowledge of where to place our money for our future. Today, one year later, we have an investment portfolio worth $2 million and we are in a good position to provide for our retirement needs. My partner Zecca and I bought an off-the-plan apartment in Bondi Junction in 2003, and made very little capital gain in 11 years before we sold it, so I was adamant that I did not want to make the same mistake again. I knew that we did not have enough in superannuation for retirement, so I started reading all books related to finance. In the past, was our money working for us? Absolutely not! I am a flight attendant so I used my time wisely to read the investment books while I was overseas. Zecca is a registered nurse and the artist in the family, he cares for our family home, designs and decorates it, and makes it look spectacular. Isaac has now got the travel bug (probably because his father is an international flight attendant), so after visiting Santa Claus in the North Pole in 2015, fighting pirates on a Disney Cruise in the Caribbean Sea in 2016, and now heading to Africa to help the less fortunate kids in 2017, I need to make sure our finances are in order! I decided to read Margaret Lomas's books and attend the Sydney Destiny Essential Property Education course run by Jim Leone and Kate Hill in December 2015, before deciding to sign up with Destiny. I started using all my skills from the course immediately, and searched for as many properties as possible - making property deals every chance I had. Whether I was sitting in a hotel room, walking through the airport terminal, or having a quick lunch break, I would always find time to buy an investment property. I must admit, at first it was a bit daunting, but to be honest, once you have done the area research, compared recent property sales, used the local area property manager to view the property, sent the data through to Destiny Sydney for an appraisal, it was a relatively straight forward process. Jim Leone and his team at Destiny in Sydney have been nothing short of outstanding! Kate, Caroline, Melanie and Jackie have all played a part in making this work and producing great results. You must put in the hard work and do your thorough research to achieve a property portfolio - but it IS possible. Thank you Destiny Sydney for making this happen! Twelve months later, we have investment properties in Mount Warren Park (Qld), Kallangur (Qld), Epping (Vic), Grovedale (Vic) and Paralowie (SA). Destiny Sydney has been amazing in assisting with our property portfolio. We have been shown how to pay off our own home in the next two years, pump a few extra dollars into our superannuation and hold five investment properties for only $75 per week in outgoing expenses after tax! Attending the Property Action Team (PAT) meetings on a monthly basis in Crows Nest is incredibly valuable as we find out how the rest of the team is tracking with their investments. I phone Jim or Caroline regularly to ask all sorts of property-related questions, and they are wonderful for giving me advice. I see the big picture in property investing and realise the need for a long-term hold, and therefore I don't sweat the small stuff. I now truly believe that with careful due diligence in area and property research, while understanding the basics of property investment (good solid growth drivers and your own personal cash flow), it is a great way to achieve financial success. The first property we bought was our own home in Blairgowrie, along the Mornington Peninsula just outside of Melbourne. We were recently married, and shortly after we had bought the house I took a job with Defence and we relocated to Canberra. Blairgowrie was very different at the time (in the early 1990s) and property there was not in huge demand, so we decided to rent it out. I guess this was our first experience as investors! We rented ourselves in Canberra for the first year, until we bought a home in Tuggeranong, ACT. At this time Defence also offered to buy our Blairgowrie home - which was a great help but perhaps with hindsight we should have held onto it. We lived in Canberra until 2000, when we returned to Melbourne, and rented for almost two years in the bayside suburb of Mentone, before buying again a little further down the bay in Frankston. My second foray into property investing was when, together with my brothers, we bought a block of land in the seaside town of Sorrento 2001, built a house and held onto that as a rental for a few years. While we were living in our rental property in Mentone, I was investing quite actively in the share market, leveraging into stocks using margin loans. I did this quite successfully for five or six years and profits I made helped with the purchase of our Frankston home and making the necessary renovations and improvements to the family home. By 2013 we started to look a bit more seriously at property investing, spending some time looking at properties and attending some auctions locally. However, in the back of my mind I recalled some of the key things from one of Margaret Lomas's books I had read years earlier, i.e. having finance set up properly, diversifying beyond your local area and getting educated! We were looking for a structured approach to property investing, which is why he went to Destiny. We attended Margaret's roadshow in January 2015 and decided it was time to get serious. I (Martin) attended the EPE course in April 2015, and almost straight afterwards started looking around at Brisbane, with the help of property manager Bridgette Griffiths. I looked at places around Forest Lake and Waterford and found a place in Waterford, near schools, and shops, etc. It was a three-bedroom/two bathroom home with a media room, and it was five years old. It was cash flow neutral, with a good tenant already in place. We settled on the property in October 2015 and its value increased quickly by a little bit. This time we were looking for growth, so researched north of Brisbane - along the new train line, looking from around Zillmere out to Kallangur. We soon focused on Bracken Ridge - a good distance from Brisbane CBD, with great connecting roads. Here we found a four bedroom/two bathroom property with a double garage, about eight to nine years old that suited and we settled in May 2016. Again it was already tenanted, but for under market rent. When the lease came up for renewal we re-signed the same tenant at a higher rent ($40 a week more) on a six-month lease. After this six months the tenant offered more to stay on longer. So although we bought this property for growth, it is close to neutral cash flow. 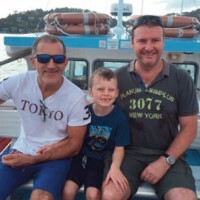 With two Queensland properties, we decided it was best to diversify and we started the process again, following the steps I'd learned on the Destiny course. In March/April 2016, Meg completed the EPE herself, this gave her confidence in the process and allowed her to be more involved with our third purchase. We were still looking for growth, and this time decided on Melbourne. Again we found a helpful property manager who assisted us in our search in Altona Meadows. We ended up buying a three bedroom with study/two bathroom property built in the late 1990s in Altona Meadows. We figured the area was close to transport, shops and a train station. This property again was already tenanted with great long-term tenants. We settled on 13th October this year. We're taking a breather now, happy to see how these three properties go. We had to pay lender's mortgage insurance (LMI) on our last investment, but our LVR is 84% so we're not concerned. In fact we think that we've had further growth in all our properties and we'll be looking again fairly quickly - but taking a break for now. We're regulars at PAT meetings and we've had great support from Jodie and Michael for finance. We have three children in their twenties, and we see our property portfolio as part of our retirement planning which together with our superannuation will see us comfortable in retirement. Sheree and I started out in property separately, both at the age of 24. I purchased my first house in the CBD of Bathurst in 2002. I was approved for a $200,000 loan, but I bought the cheapest house on the market for $104,000. My loan had an unlimited redraw facility, so it worked like an offset account, and as I paid my first home-owners grant straight into this account, I was instantly $7,000 in front. I continued paying this loan down and by 2006 I had paid most of it off. Then we started renovating, doing 90% of the work ourselves, keeping costs down to around $80,000, spent mostly on materials. In 2007, Sheree bought her first house in Bathurst for $170,000, again with assistance from the first homeowners grant. We moved into this property to make renovating our first house easier. After nearly 12 months, we moved out and began renting the property. We are currently earning $235/week rental income and the property is valued at $240,000. A great feature of this property is its large backyard, making it suitable for development further down the track. By 2011, we felt the need for a bigger home (more space for when we have a family), so we borrowed to purchase our current home again in Bathurst which we paid $540,000 for. It is currently valued at $680,000. We sold my first house for $377,000 and used this money to pay down the loan on our new home. Our next move was to set up a St George portfolio loan, which allowed us to build a house in the backyard of Sheree's first house. This cost $225,000 and we currently rent it out for $350/week. It is valued at $350,000. We continued to pay down our home loan and by 2012 we were ready to start looking for another property to buy. With the equity we had built up, we could borrow 110% of purchase price which meant our savings were not required from this point forward, allowing us to continue paying down our home loan. We found a unit for sale in Bathurst. The property was listed at $310,000 and we negotiated a price of $300,000. However, the sale was held up, because there were two units for sale and the separation of titles had not been finalised. So we offered to purchase both units and got them as one property for $580,000. We had our solicitor check that all the physical work was completed for the subdivision, and all we need to do now is get final inspection to separate the titles. We haven’t done this yet as currently we are only paying one lot of council rates! Rental income from each property is $330/week and the combined property is valued at $630,000. In 2014, Sheree found Destiny (after reading some of Margaret’s books) and this gave us the skills and confidence to broaden our investment horizon. When we signed up with Destiny, we had $240,000 in equity available for a deposit on a property, stamp duty, etc. Up until now all our properties were in our home town, so we started looking around Australia with our newly learned skills in researching areas thanks to Destiny. We found a duplex in Cabooulture for $406,000 which is currently renting for $530/week and valued at $420,000. While Cabooulture was settling, we found a unit in Kingston. After deciding to buy it, we noticed there were two for sale in the same complex, so to reduce the amount of research we had to do we decided to buy both of them for $305,000 each and they are currently rented for $365/week each and valued at $300,000 each. We still had $80,000 in equity, so at the end of 2014 we purchased a unit in St Marys for $398,000, currently renting for $390/week and valued at $450,000. Now we have $25,000 left in equity. Our home is paid off, but with the tightening of serviceability in the banking sector we can’t get access to our equity growth. We are still looking to purchase one more property soon and will use some savings if the property we find is over $300,000. Our investment portfolio is run with minimal input from me. We have an offset account into which all rents are paid. Each investment loan has a redraw facility, and we pay 1/12th of yearly costs for each property monthly into that account. This means that when any bill comes in, we just pay it out of the associated account. To balance this system we need to put in $1,600/month ($19,200/year) which comes from wages. If our tax returns for the year are over this – which they will be – then it will cost us nothing to hold all these properties and any capital growth is ours. Also as a buffer, we pay into these accounts weekly and the outgoing costs are monthly, so we get a bonus four weeks’ incoming money each year. We budget for at least $1,000 annually in maintenance costs per property. This money stays in each offset account until it is needed, further saving us on interest costs. If any property’s balance gets too low that property’s maintenance allowance is increased. All I need to do is keep an eye on the balance of the first offset account to see if everything is working. It fluctuates by about $10k each month. As a further buffer we have another offset account where any savings go and the tax refunds go. As this balance grows, it saves more interest with the money saved showing up in the first offset account. The plan from here is to accumulate as many properties as possible until such time as we retire and sell enough properties to pay out loans and hopefully have a few properties left earning rent and capital growth. We still have plenty of time for this to happen as we are only in our midthirties and have two small children. Mat had seen how property investing could achieve a financially secure future. I knew the importance of investing but was reluctant to purchase property outside of our local area. Before going to Destiny we purchased our first investment property in 2011, in our hometown, using the equity in our home. We purchased a commercial shop with a residential house at the rear. The house was solid brick, but very old inside, so we completed a full renovation on the interior and exterior, which increased the value of the property significantly. It now achieves a 10% rental return. After seeing Margaret Lomas on various business and property shows, we liked the strategies she incorporated into property investing, and we trusted her expertise. After seeing her represent Destiny we decided to contact Destiny Perth so they could assist us on our property journey. Destiny helped us to see our potential financial outcome over a 15-year period. 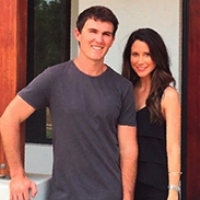 I was nine months pregnant at the time, so it took us another 10 months after that first meeting to get back to Perth to do Destiny's Essential Property Education course in early 2014. After the two-day course we were so much more knowledgeable and confident in buying property. Once we got home and did a lot of research into different areas of Australia, we purchased three properties in a four-month period. 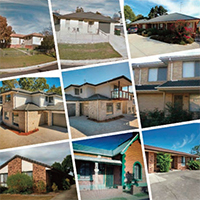 The first property was a 3 x 1 unit in Woodridge, Queensland; the second property was a 4 x 2 house in Crestmead, Queensland; and the third was a 3 x 1 house in Morphett Vale, South Australia - all with positive cash flow! I didn't even think twice about buying property outside our local area and not being able to see it myself. I realised how uneducated I was about property investing before the course. Currently we are waiting to refinance equity in our Collie investment property which will release enough equity to purchase another four properties. That would give us a total of eight properties. We would like to accumulate another six investment properties over a four-year period, bringing the total to 15. After that we will see where we are, whether or not we buy more properties. We would love to give our children a property each once they are old enough to help them start their investment journey. Mat would love to semi-retire at the age of 45 and live off the income the properties receive. Then we could spend more quality time with our children. All this would not be possible without the help and support from Destiny Financial Solutions.